Motor finance can be confusing so let us help demystify the subject! Watch our videos and gain an understanding of the different types of car finance available, as well as the benefits of using specialist motor finance to fund your next car purchase. With JCB you will always get a mid term review of your finance arrangement, just to check it's still working for you. All staff who are qualified to advise on finance are FCA accredited. You might want to upgrade your vehicle, so take this opportunity to talk the options through with our finance experts. Watch the video below to find out what to expect. 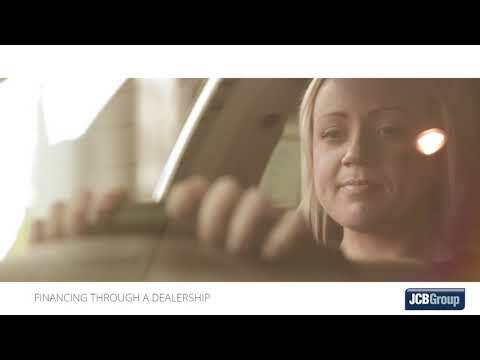 There are many reasons to use The JCB Group to fund your next vehicle purchase. This video will tell you why, in plain English. You could settle the outstanding amount at any time. You own the vehicle at the end of the agreement. LP stands for Lease Purchase. This method of finance allows for monthly payments which are adjustable according to your needs and budget. You could pay off the residual value of the vehicle and keep it, or part-exchange it for your next vehicle. We also do Contract Hire for business use. For peace of mind motoring - ask in the showroom for the finance option that suits you. We have Business Managers in every branch who are able to advise and help with financing your vehicle. They are all FCA trained. Please visit the branch or phone us to ask for a personalised finance quote. We're here to help.